Moo Cow Adult Costume. 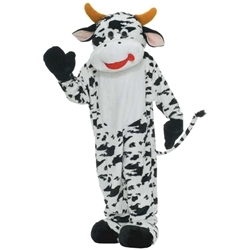 Plush moo cow deluxe adult costume has see thru eye mesh, jumpsuit with attached mittens and foot covers. One size fits most adults.